MANY people would like to re-use steel posts recovered from old fences, but finding a way to successfully and efficiently straighten them has always been a challenge. 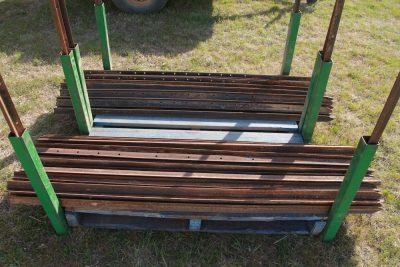 Mudgee, NSW, farming contractor Daryl Irving was trying to re-straighten old steel pickets using the underneath of a ute tray and a tow ball when the idea for a mechanised solution came to him. “I thought there has got to be an easier way than this,” he said. Later that night over a few beers he traced out on a piece paper a concept for a mobile, petrol motor-driven machine that uses internal rollers to re-straighten steel posts. Working with his good mate and business partner Dan Robinson, the idea has since been refined and developed and then turned into an award winning machine that has been well and truly tested in paddock conditions. 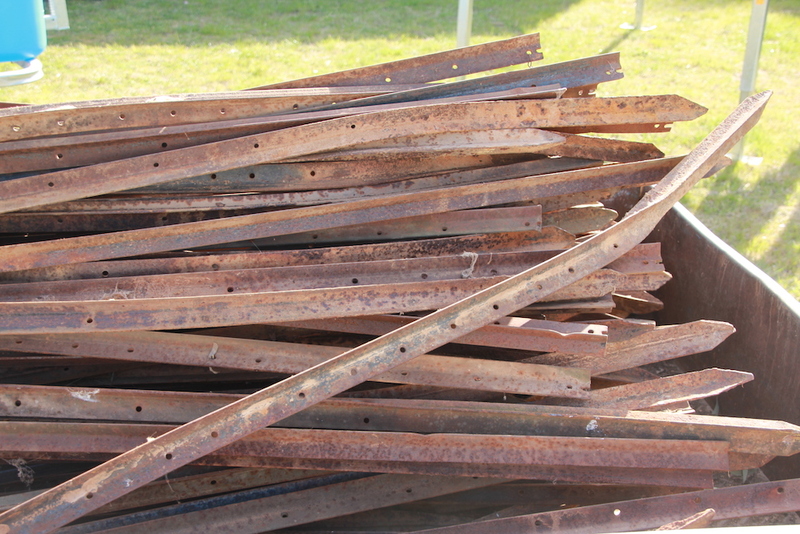 Daryl and Dan have a contracting business in which they travel to properties where owners are keen to recycle and reuse old piles of bent posts. They charge $2.50 plus GST per post to restraighten posts, which compares to prices of several dollars per unit to for new posts. Their service effectively converts a pile of old bent posts into a neatly stacked bundle of repaired and sorted posts. “That is one of the bonuses, a person doesn’t have to go to town and buy new ones and have to cart stuff, they have already got the posts at home,” Dan said. The first prototype built with the help of family engineering company, Leussink, on the NSW south coast a few years ago has since restraightened more than 85,000 posts and is still going strong, needing only the replacement of a new set of drive chains, worth $75, since that time. Daryl said he has put a lot of re-straightened posts back into the ground with a pneumatic driver, into some very rocky and hard ground, and has seen no evidence the restraightened posts lose strength, and had received no complaints from previous clients. Daryl said they held off selling the units until they were able to test the machine in field conditions and prove they were tough enough to work. Having now put more than 130,000 steel posts through the first prototypes, they’re confident the machines’ toughness has now been demonstrated. Operating under the business name Post Straightening Australia Pty Ltd, Daryl and Dan are now selling their patented post-straightener. 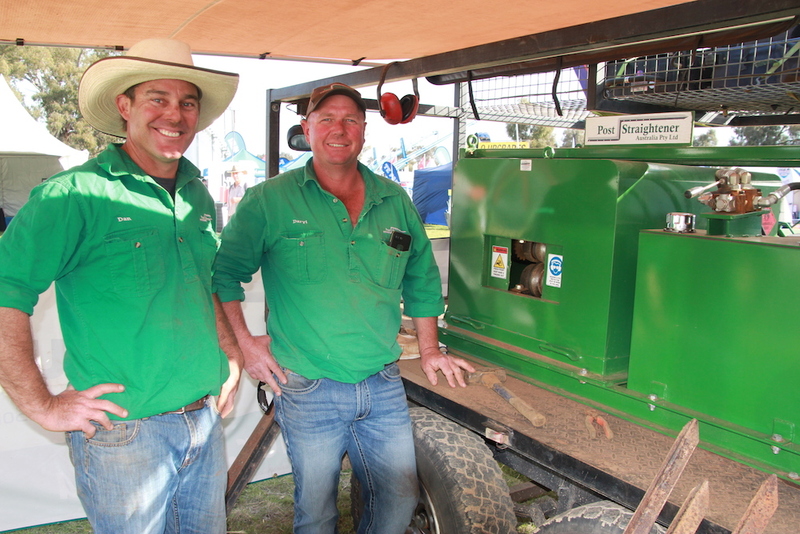 They debuted the machine at the AgGrow field days at Emerald in June and have taken it to another four field days around the country in recent months, picking up awards for innovation at the Nyngan, NSW and Newdegate, WA events along the way. 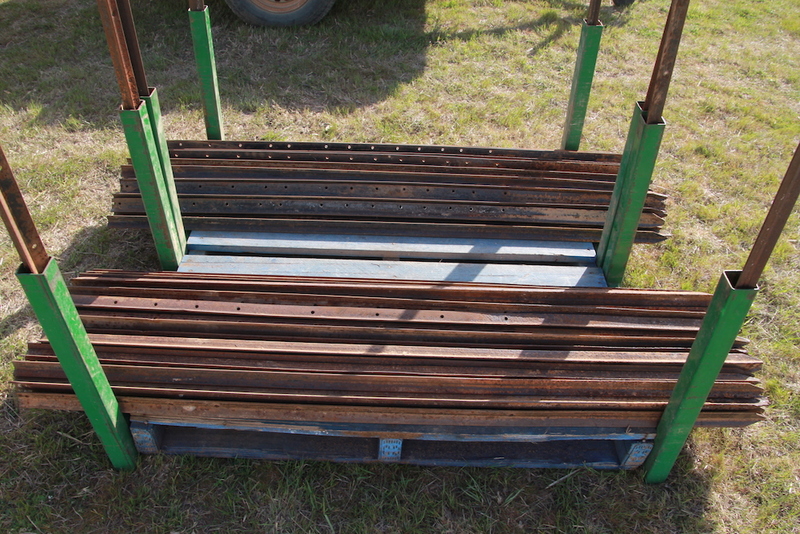 Yesterday the post straightener was named runner up out of 28 machines entered in the Henty Machinery Field Days Machine of the Year Award at Henty in NSW. Daryl said fencing contractors and larger pastoral companies are the most likely purchasers of the machine. “We are extremely proud of what we have developed and look forward to seeing people purchasing our machines to start their own business doing a farm to farm service, saving farmers money and also making a great living while travelling our great country meeting new and interesting people,’’ Daryl said. Is there any bent post that can’t be straightened? Daryl said the only bent posts the machine has been unable to straighten are those been pulled out of the ground using a four-in-one-bucket on a front-end loader, which crimps the top and means they can’t be fed into the machine.